President Donald Trump reiterated during a press conference on Tuesday that antifascist protesters were as much to blame as the "alt-right" for the violence that erupted in Charlottesville, Virginia, last weekend amid a white nationalist "Unite the Right" rally that left three people dead. "What about the alt-left who came charging at the alt-right?" Trump said in response to a reporter's question. "Do they have any semblance of guilt? What about the fact they came charging with clubs in their hands, swinging clubs? Do they have any problem? I think they do." 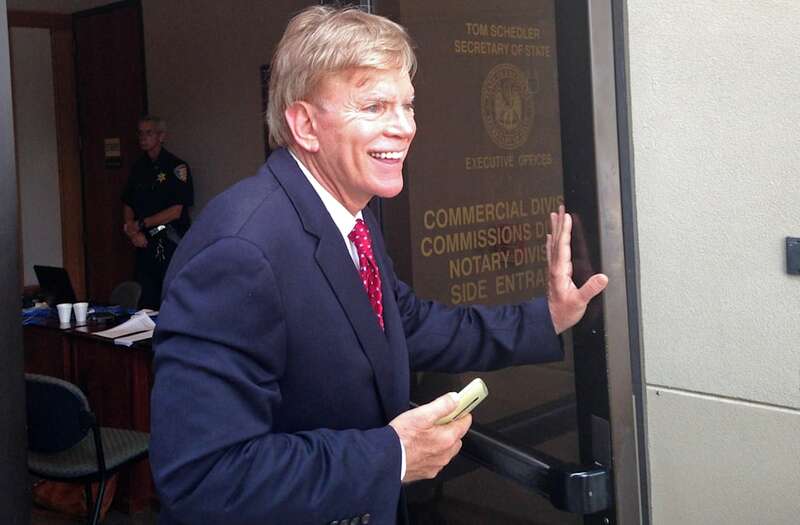 Former Ku Klux Klan leader David Duke praised Trump's remarks on Twitter. "Thank you President Trump for your honesty & courage to tell the truth about #Charlottesville & condemn the leftist terrorists in BLM/Antifa," Duke tweeted. Jack Posobiec, a prominent conspiracy theorist and alt-right agitator, appeared to echo Duke's remarks. "Declare #AltLeft AntiFa a domestic terrorist organization!" wrote Posobiec, who was retweeted by the president on Tuesday morning. Posobiec added that Trump was "making it rain red pills" — a prolific alt-right symbol of knowledge and wisdom that stems from the plot of The Matrix. White nationalists and neo-Nazis similarly celebrated Trump's initial comments about the protests in Charlottesville on Saturday, in which he denounced violence "on all sides," rather than explicitly condemning white supremacism. The founder of the Daily Stormer, a neo-Nazi and white supremacist website that considers itself a part of the alt-right, celebrated the fact that Trump "outright refused to disavow" the white nationalist rally and movement.